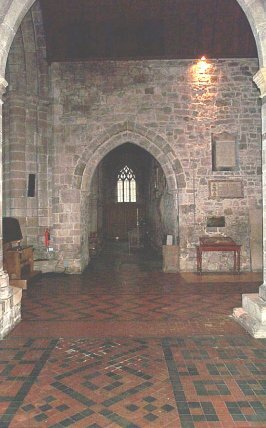 Looking West along the North Nave Aisle. On the right is the case containg the "Breeches Bible" in the North Transept. In the distance is the West Window in North Nave Aisle.